Cardale Jones is starting for the Ohio State Buckeyes, filling in after the two quarterbacks ahead of him were injured. 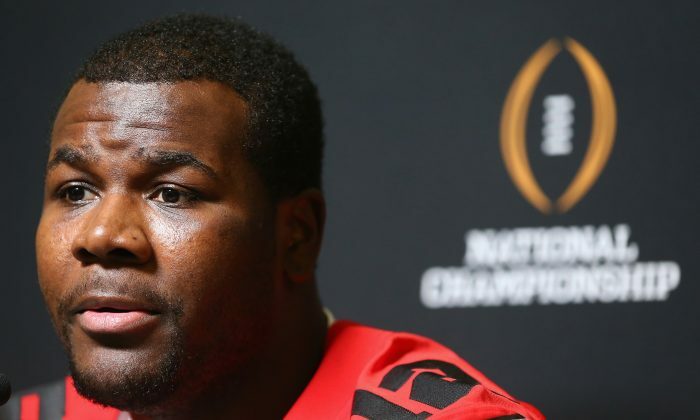 Cardale is drawing a lot of attention because he’ll need to play well for Ohio State to have a shot at winning the national championship game on January 12. Many are wondering about his personal life, including his girlfriend and daughter. Cardale’s girlfriend Jeaney Durand is a nursing student at Ohio State, and she had a daughter on November 7, 2014 that the couple named Chloe Michelle Jones. Jones drove 140 miles from Cleveland to Columbus, where Jeaney lives, and arrived less than five minutes before his daughter was born. Jones grew up in a rough environment but made it out. And Jones is providing inspiration to those who have known him for a while. “Cardale is an inspiration to me, and I’m his older brother,” said Javon Jones, 28, a flight attendant in Atlanta who is one of six older siblings, with the quarterback the baby of the family. “To know you can rise above all the stumbling blocks put in your life, that you can rise above that and be on a national platform, that’s definitely encouraging not only to the younger generation but to older people as well. Durand and Cardale’s mother will be cheering for him inside AT&T Stadium, but young Chloe will be back home with family members. Though Durand gave birth, she’s still on track to graduate from Ohio State in 2016, according to her Facebook. She also works as a research at Case Western Reserve University, a medical research facility in Cleveland, where she’s from.